Antony had put strange noting on the file dealing with Rafale purchase and asserted that the French aircraft has given India a superiority over Pakistan in terms of air power. 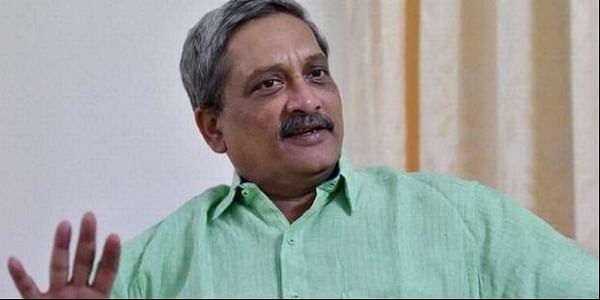 PANAJI: Goa Chief Minister Manohar Parrikar today accused former Defence Minister A K Antony of creating a "logjam" over the Rafale fighter jet deal and asserted that the acquisition of the French aircraft has given India a superiority over Pakistan in terms of air power. Referring to the Congress's allegation about the "high price" of Rafale jets, he said "a fighter aircraft is not only an aircraft, the aircraft is probably a smaller part of the total cost. The real cost comes in purchasing special equipment." The deal covered a particular kind of helmet worn by the pilot, Parrikar said. "... the target is locked by watching at it. It is virtually 360 degrees visibility. Here he (pilot) has to just watch opponent's target and press the button, the computer does the rest. That cost of development of helmet is included in the deal," he said.